Dimensions 1.50 by 7.50 by 9 in. Digital Storytelling shows you how to create immersive, interactive narratives across a multitude of platforms, devices, and media. 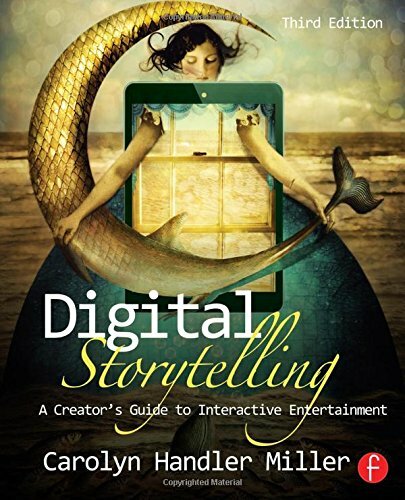 From age-old storytelling techniques to cutting-edge development processes, this book covers creating stories for all forms of New Media, including transmedia storytelling, video games, mobile apps, and second screen experiences. The way a story is told, a message is delivered, or a narrative is navigated has changed dramatically over the last few years. Stories are told through video games, interactive books, and social media. Stories are told on all sorts of different platforms and through all sorts of different devices. Theyâre immersive, letting the user interact with the story and letting the user enter the story and shape it themselves. This book features case studies that cover a great spectrum of platforms and different story genres. It also shows you how to plan processes for developing interactive narratives for all forms of entertainment and non-fiction purposes: education, training, information and promotion. Digital Storytelling features interviews with some of the industryâs biggest names, showing you how they build and tell their stories. About: Digital Storytelling shows you how to create immersive, interactive narratives across a multitude of platforms, devices, and media. About: The first professional book to explore and analyze digital storytelling across interactive media and genres-this book examines how digital storytelling draws on classic narrative techniques and utilizes interactive digital technologies to create today's entertainment. About: Equally useful for seasoned professionals and those new to the field, Carolyn Handler Miller covers effective techniques for creating compelling narratives for a wide variety of digital media.